The Cricut Maker is the fastest and most powerful machine that I’ve been able to review from Cricut. The question to ask is: does it justify its cost? The Cricut Maker is a surprising improvement over the Explore Air 2, but it’s not without its faults. More on these in a bit. I’ll explain in detail why it’s the best fabric cutting machine I’ve ever used and cover all of the recent changes. I’ll also review the two new accessories made exclusively for the Cricut Maker: the Knife Blade & the Rotary Blade. Can I use the new blades with the Explore Air 2? Where can I buy a Cricut Maker? Does the Cricut Maker work with normal cutting mats? Does the Cricut maker work with Cricut cartridges? Can the Cricut Maker etch glass? What about foam board? Can the Cricut Maker etch metal like jewelry or pet tags? What’s the difference between the Rotary Blade and the Fabric Blade? Do you need an iPad to use the Maker? Can I make jigsaw puzzles? Can I use the Maker with multiple computers? Do you recommend using the fabric pen? Is there another new Cricut machine being released soon? 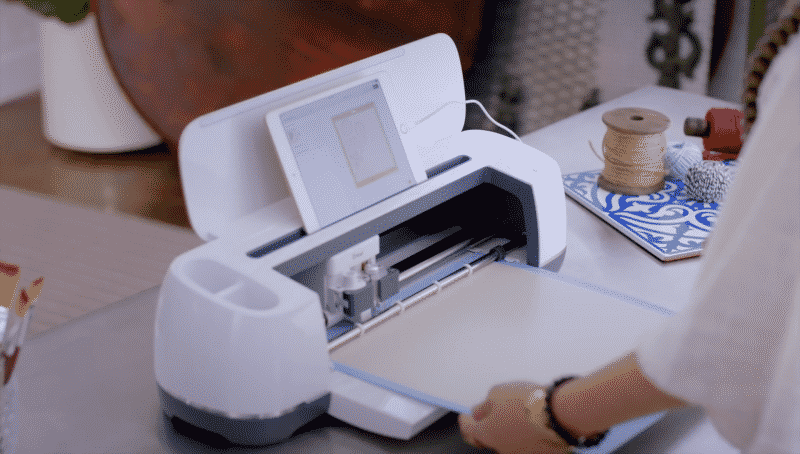 The Cricut Maker is the newest cutting machine released by Cricut and represents their vision for the future. But, does that vision hold up? If you will be cutting fabric: yes. If you cut thick materials like leather or balsa wood: yes. If you want the best Cricut machine available today: yes. I’ll start this review with a table that explores its attributes. After, I’ll highlight the 5 best new features that are exclusive to the Cricut Maker. 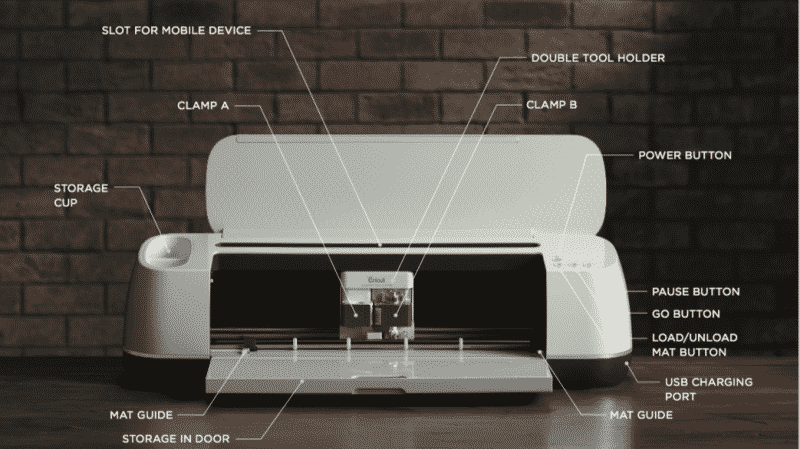 I’ll then break down all of the Cricut Maker’s features in an easy-to-read format so you can figure out which matter most to you. 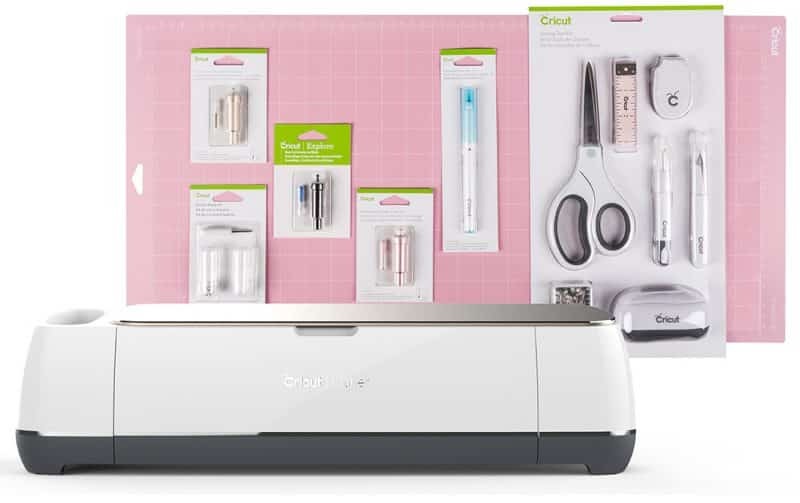 If you’re just looking for the best Cricut Maker deals and bundles, feel free to skip ahead. 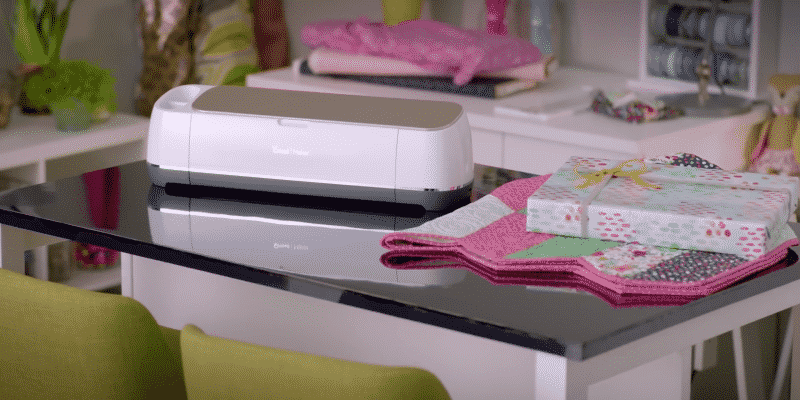 Let’s start with a quick review of the Cricut Maker’s best new features and then get into the nitty-gritty. Adaptive Tool System. This is the professional cutting technology that gives the Cricut Maker 10x more cutting force and the ability to use the Knife Blade and Rotary Blade. Rotary Blade. This is why the Cricut Maker is the best machine on the market for cutting fabrics. Knife Blade. You can think of it as an X-Acto blade for wood and thick materials like leather. Sewing Pattern Library. Normally you would mark a pattern on to your fabric and then cut it out by hand. The Cricut Maker lets you skip both of those steps. Washable fabric pen. You can mark seam allowances, darts, notches, the whole deal. An essential accessory for the Sewing Pattern Library. I’ll go into extensive detail about each of these new features below. But first I’ll go over the pros/cons of the Cricut Maker so you can get a general idea at a glance. Then I’ll give a brief overview of the Maker’s specs and what exactly it comes with. The Cricut Maker’s Knife Blade lets you cut thick materials like wood and leather. Think of it like an X-Acto blade for your Cricut. 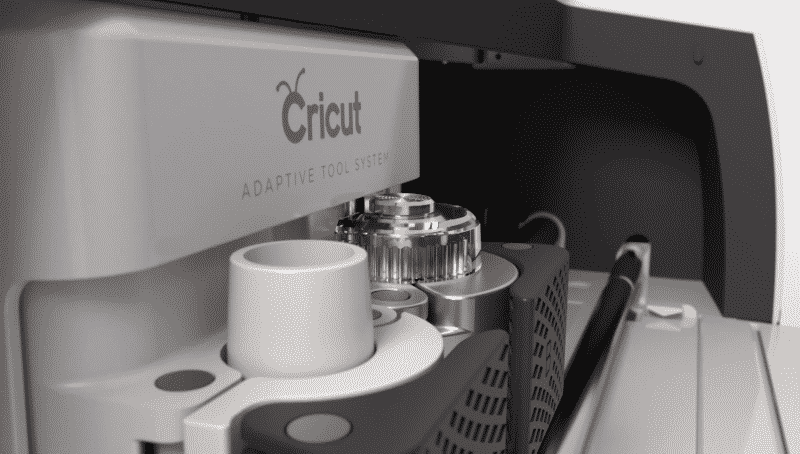 The first Cricut machine to use the Adaptive Tool System. 10x the cutting power of other Cricut machines. Future-proof. All new tools will be designed for its Adaptive Tool System. Uses 2x fast mode for cutting paper and vinyl. Designed to use the Sewing Pattern Library. Warranty is no longer voided by commercial use. Embedded Bluetooth allows for wireless cutting. Integrated iPad/iPhone mount and improved machine design. The price. It’s the most expensive Cricut machine, with an MSRP $100 more than the next model. It can be slow while using the Rotary Blade or Knife Blade. 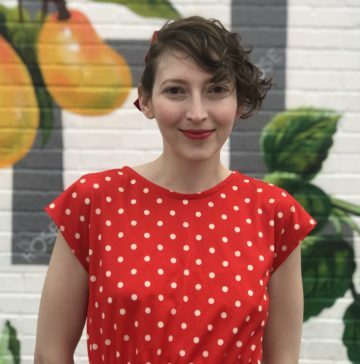 You can’t easily load your pre-existing sewing patterns into Design Space. Design Space requires an internet connection to use. The accessories which set it apart are not included. You can easily spend another $40 to add them on. It’s the newest Cricut machine. This may not seem like a con, but sometimes there are kinks to work out. Often the second generation machines are more reliable. Okay, on to the elephant in the room: the new design. Where did the Quick Dial go? Does it still work with cartridges? Cricut completely updated the physical design of the Explore Air 2. 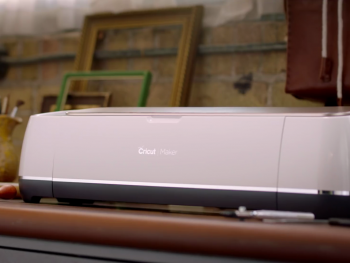 They’ve taken the best features from the Cricut Explore Air 2 and improved on them. It’s an entirely new Cricut machine. Cricut continues to impress me with their attention to small design details and their ability to improve on what already works. Everything about this design is pleasant to look at and use. 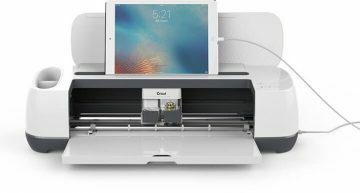 The Cricut Maker is designed to be used with a tablet or phone. It has a ledge on the top for setting your tablet up and securely holding it in place. It also features a charging port on the right, so you can charge your iPhone or iPad directly from the Maker. I really like this change, it’s super useful to have your design right in front of you and at eye-level as you’re using the machine, but wait.. the Smart Dial? Where did it go? The Smart Dial system is completely missing from the machine. 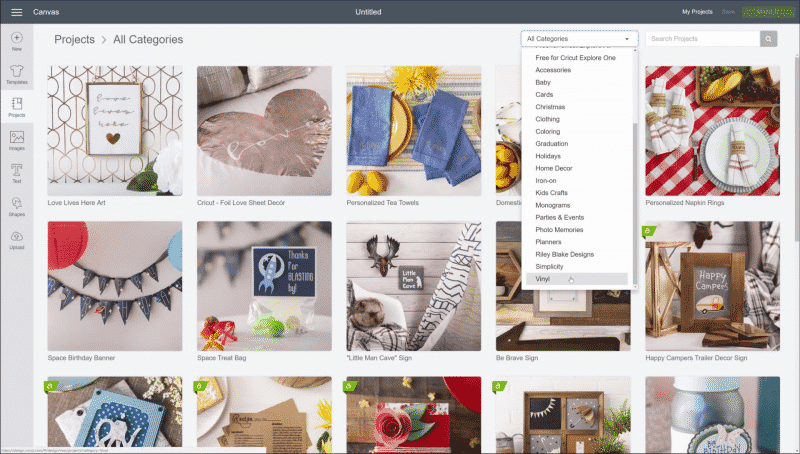 Cricut has moved its functionality completely into the Design Space software. I miss the familiar dial, but I completely get why they removed it. Setting your material directly in the software is how I use my Silhouette Cameo 3, and it’s a lot easier. It’s also a lot more reliable, I can set it in a single place and not worry about where the dial is set on my machine. You’ll also notice that the cartridge slot is completely removed. Instead, it’s been replaced with additional storage. That the newest machine from Cricut that doesn’t support cartridges is a sign of things to come. If you still rely on them, Cricut sells a Cartridge Adapter that allows you to link your cartridges in Design Space. 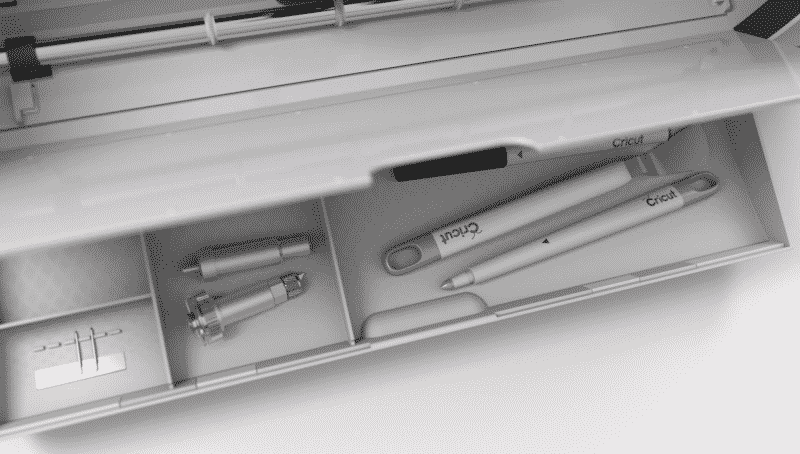 Cricut hasn’t just removed features to streamline its design. It’s also reconfigured the existing accessory storage. There are now two accessory tool cups on the left. One is deep, useful for holding pens, weeding tools, and accessories. Both are lined with a protective sheet of rubber to protect any blades that you might store inside. The front tool drawer is also improved. It’s larger, with deeper storage. It still features my favorite detail from the Explore Air 2: awesome magnetic strips for holding your blades in place! If you pay close attention you’ll notice many small details intended to make the Cricut Maker into a premium machine. The exterior is now edged with polished metal. The drawers are lined with an elegant diamond pattern. Individually, these are small improvements. Together they represent a much cleaner design that’s easier and more reliable to use. For most, these will be mere cosmetic changes. So let’s talk about the Maker’s cutting quality and if it really deserves its reputation as the best cutting machine on the market today. Spoiler: the Cricut Maker is the best cutting machine you can buy right now. Let’s talk about why. If you’re cutting paper or vinyl, the Explore Air 2 is very similar. You probably won’t notice a large improvement unless you’re cutting through pretty thick material. Like the Explore Air 2, the Maker has a 2x fast mode for cutting vinyl and paper. If you’re cutting fabric or thicker materials, it’s like night and day. I continually make projects using the Cricut Maker that I wouldn’t dream of attempting on the Explore Air 2 or any other model. The only limitation worth mentioning is the size of the cuts you can make. If you’re used the Silhouette Cameo 3, you’ll know that they cut up to 10 feet. The Cricut Maker is limited to 2′ cuts. 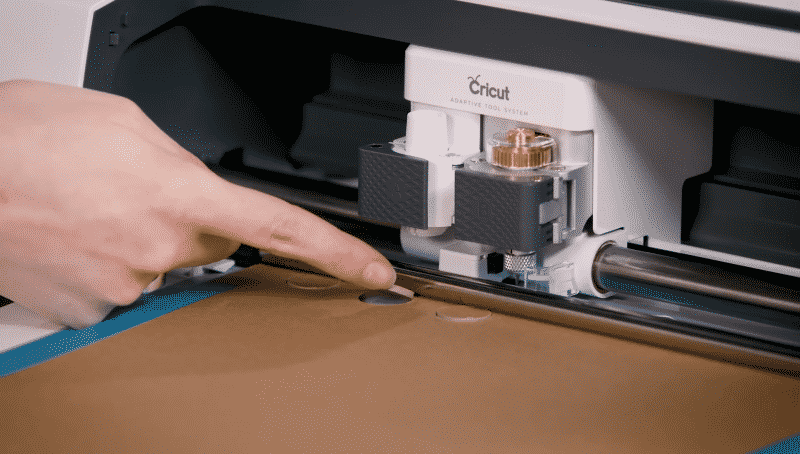 Most of the Cricut Maker’s cutting improvements come from what Cricut is calling its new “Adaptive Tool System.” Let’s talk about what that system is and how it gives the Maker 10x the cutting power of the Explore Air 2. Move your mat in and out of the machine. This is fine for a quick and accurate cut on most materials, but with thicker materials and fabrics it sometimes falls short. That’s where the Adaptive Tool System comes in. It adds a third action! A set of gears that allow the blade to lift and turn, intelligently controlling the pressure of the cut and the rotation of the blade. This is the difference between drawing a picture and sculpting with clay. It’s a third-dimension to cutting that Cricut previously hadn’t figured out. I’ve said above that the Cricut Maker is 10x more powerful than the Explore Air 2, this is why. The Adaptive Tool System is the future of Cricut. Most new tools are going to be specifically designed for this system. By purchasing the Maker you’re also making an investment into the future of Cricut and its accessories. The first two new tools created for the Adaptive Tool System are the Rotary Blade (for cutting fabrics) and the Knife Tool (for cutting thick materials). These are exclusive tools for the Cricut Maker. Let’s explore the Rotary Blade first. If you’re like me, you’re going to rely on it so much that you keep 3-4 stockpiled in case Cricut ever runs out of stock. Okay…maybe I’m the only one who does that. This is the reason the Cricut Maker is the best machine on the market for cutting fabrics. 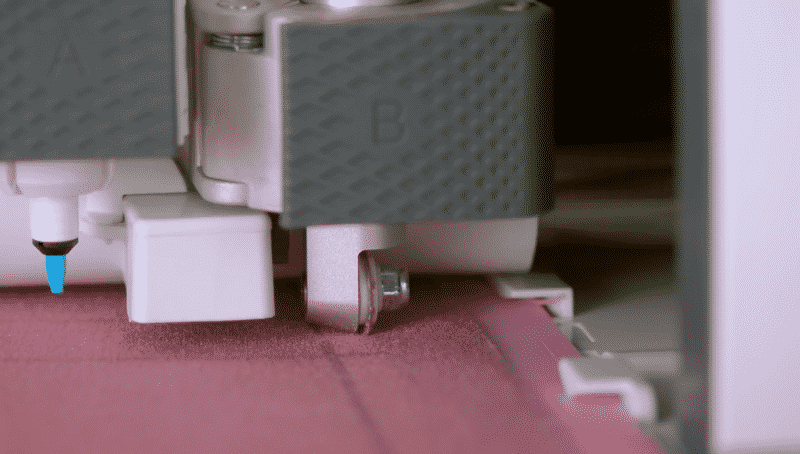 Instead of ripping or tearing your fabric (especially if your blade is dull), the Rotary Blade rolls over, cutting even unbonded fabric without any backing material. You just load the fabric on your cutting mat and let the Maker do the rest. I’ll be completely honest, this is the only reason I initially purchased a Cricut Maker. Back in August, the Knife Tool was still on backorder and I didn’t think I’d make a lot of use of its sewing pattern library. A washable fabric pen sounded nice, but it wasn’t something I ever concerned myself with. Cutting fabric has always been annoyingly hit or miss for me. I would find myself making test cuts on every new material I’d use, cleaning my blade after every cut, and crossing my fingers so that everything would turn out just right. The biggest difference the Cricut Maker has made has actually been hard to notice. It’s the things I don’t have to do anymore, so it’s sometimes difficult to see them. I don’t apply transfer paper or freezer sheets before applying them to the cutting mat. I don’t make test cuts on my fabric. I’ve started using really sheer and delicate fabrics, like silk, without fussing around. I’m sure I sound like a broken record here, but this is really the best machine for cutting fabric that I’ve ever used. I hold the Rotary Blade personally responsible! If you find yourself cutting fabric often, you absolutely need to try out one of these machines. So I said the Knife Tool had been on backorder, well, this May it finally came out and it’s just as life-changing as the Rotary Blade. The Knife Blade was only recently released in May 2018 and it’s still on backorder in a few locations. From what I’ve heard, Cricut made a few improvements to it and wanted to make sure it was perfect before releasing it. I’ve only had mine since the beginning of May but I’ve quickly put it through the trials. My first question was: does it really offer 10x more cutting power? If so, what does that mean, practically-speaking? Well, I can cut wood now, just like that. I was sure it would dull the blade, so I tried over and over, making test cut after test cut, and had the same exact results. The downside is that using the Knife Blade is a bit slower. You sometimes need to make an additional cutting pass to ensure a clean, complete cut. The Knife Blade also only works with the desktop version of the Design Space software, this means no iPhone or iPad. This is a great time to go over all of the materials the Cricut Maker can cut. If you feel like I’m missing your favorite material from the above list, I didn’t want to take up pages and pages of space! I really could go on forever about all of the materials this machine happily cuts through. I’ve written a lot about Cricut’s Design Space software in the past, so let’s talk about that now. Its software is unfortunately where the Cricut Maker is the weakest. 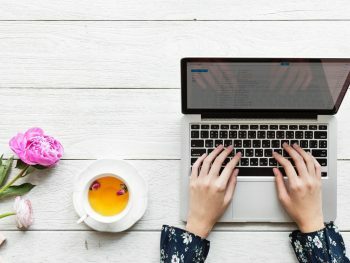 It uses the web-based software Design Space which requires either an active internet connection or an Android/iPad/iPhone to make cuts and designs. There is a light at the end of the tunnel, however. Cricut keeps updating its Design Space software to incorporate the best features of Silhouette Studio. Cricut has been updating the software to make it faster and more reliable. With the release of Design Space 3 last year they have vastly improved on the interface. Design Space is better than Silhouette’s software in one very specific way: it’s free to import SVGs and cut files. If you haven’t used them before, you should! With SVGs (whether you buy them or use free ones) you own the design permanently and can use it with whatever machine you own. So I’ve talked a little bit about the general drawbacks of Design Space, but the Cricut Maker has access to one specific piece of software that other Cricut machines don’t: the Sewing Pattern Library. The Cricut Maker is the only machine from Cricut that comes with access to a sewing pattern library. If you aren’t too familiar with sewing patterns, I’ll explain why this is so awesome. A sewing pattern is a template for tracing a cut onto the material you’re going to cut & sew. Normally you’d mark the pattern on your fabric and then cut it out by hand. The Cricut Maker lets you skip both of those steps. 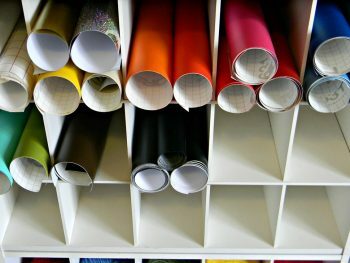 The library has a great collection of patterns including some from a few big brands like Simplicity and Riley Blake. One drawback is it’s difficult to bring your pre-existing patterns in, but if you’re capable of converting them to SVG files you can load your own designs directly into Design Space. If you’re looking to work with a new pattern you can make it directly in Design Space. Printable Crush has a pretty neat guide. 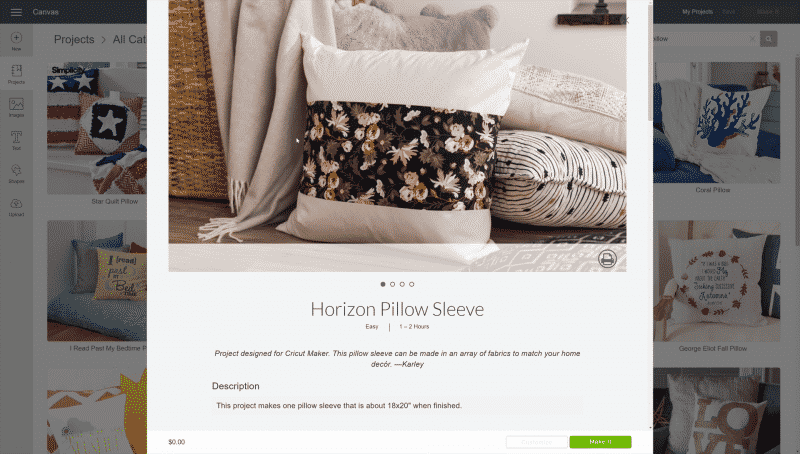 Cricut Access is worth it if you find yourself buying a lot of items in the Cricut Design Space store. The Cricut Maker comes with a free trial to Cricut Access so you can explore it yourself and decide if it’s worth it for you. That’s it for the software! 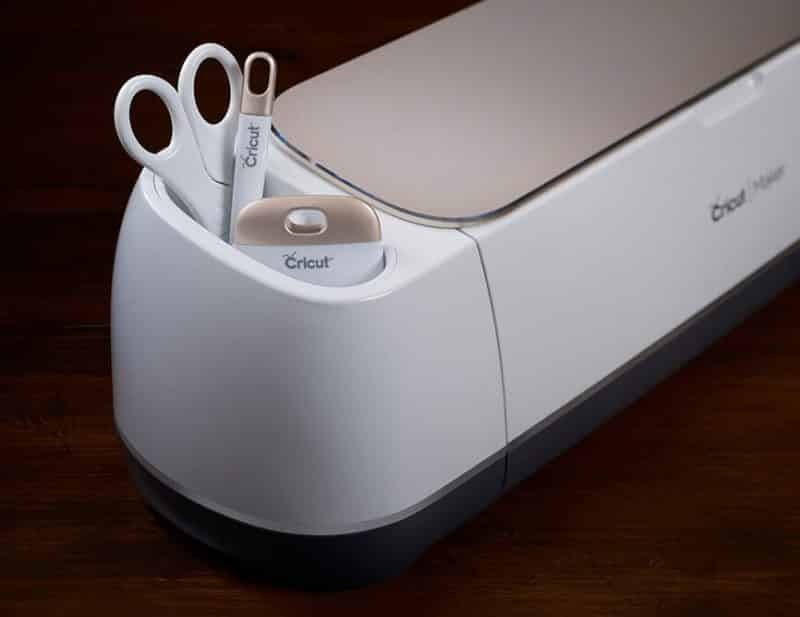 The Cricut Maker comes with embedded Bluetooth so it will work wirelessly with your computer, iPhone, iPad, or Android device without needing an adapter. If you need help pairing it with your computer, Cricut has a great page on setting it up. I know, a whole section on the warranty seems a bit… boring? But bear with me, this is actually a huge area of improvement, one that I haven’t heard a lot of other people talking about. The Cricut Maker comes with a one-year limited hardware warranty from date of purchase. Sounds typical, right? It is. When I dug into the fine print, however, I noticed that the warranty is no longer voided by commercial use. Wait, what, commercial use? Like… selling a sticker? Or a bag? That’s right. If you previously used an Explore Air 2 you would completely void the warranty by selling your products or using it as part of a business, which always seemed funny to me. Cricut fixed all of that with the Maker. 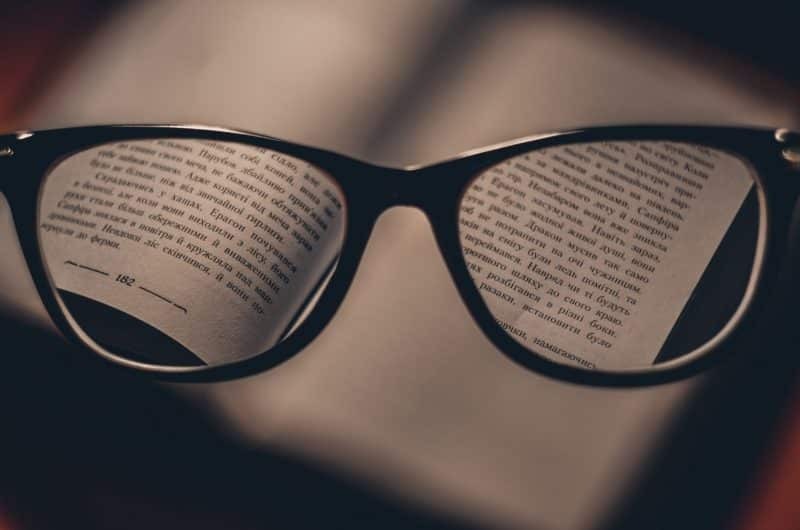 A full warranty is transferable, doesn’t require you to pay any fees (like shipping), and requires that the company give you the option of a replacement or full refund after a number of failed attempts. A limited warranty does not have to meet those requirements. With Cricut’s warranty, if the problem can be resolved by you fixing it yourself, they will give you the option of having them ship you a replaceable unit, which is great because it saves time + shipping cost. The Cricut Maker is the best machine you can buy today and the best cutting machine I’ve ever used or reviewed. If you routinely work with fabric or thicker materials like leather, it’s a complete game-changer. If you’re looking for a machine just to cut vinyl or decals, you might consider the Cricut Explore Air 2. 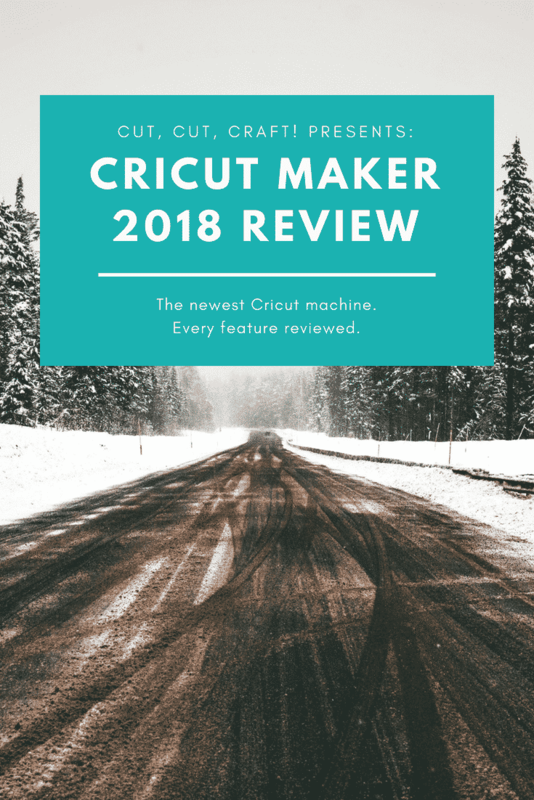 I have a review of the 6 best Cricut machines of 2018 that I updated in May 2018. The newest machine, at the top of that list? The Cricut Maker. If you have any questions, there’s a good chance that I’ve answered it below. If you don’t see it listed, just drop me a comment and I’ll get back to you ASAP. These deals have all been updated for Black Friday & Cyber Monday! They will sell out fast, so I will keep them updated throughout November! With any decision as important as this one you’ll want to make sure you’re getting a great deal and the authentic product. Many retailers sell “grey-market” machines that don’t come with a warranty and if they need repairs you’ll have to mail them to another country. All of the deals below are verified to be current (as of November, 2018) and to come with the original manufacturer’s warranty. You do need to be careful because they often sell out, so make sure to check back as the list changes. If you’re looking to use the Rotary and Knife Blades the only choice you have is the Cricut Maker right now. Cricut has said that future machines will take advantage of their Adaptive Tool System, but for now the Maker is the only game in town. Just above this FAQ I have a section outlining just that! The Maker uses the same Cricut mats as every other machine which was a relief to me because they’re my favorite. Compared with other mats they’re cheaper, easier to use, retain their stickiness for longer, and I can find them at most local craft stores. The Maker uses the same size cutting mats at the Explore series, so it comes with 12″ x 12″ mats by default and supports up to 12″ x 24″. Out of the box, no. Cricut removed the cartridge slot from the machine as they slowly phase them out in favor of digital files. If you do still rely on them Cricut sells a Cartridge Adapter that allows you to link them in through Design Space directly. It can etch glass if you purchase an etching cream. Foam board cuts easily if you purchase the Knife Blade. Yup, but it can’t deeply engrave the metal. The Rotary Blade is a huge improvement and can be used with unbonded fabrics. I definitely understand the confusion because it’s often shown with an iPad mounted on the top. It’s not necessary, just optional! You can, and that’s actually one of the most recent projects I’ve tried out. You will need the Knife Blade attachment, however. Yes. You can access Design Space through any device because it’s web-based. It might seem like a small item, but it’s super helpful for marking your sewing patterns. It’s a bit slower to use because your machine makes the marking after the cut, so you have to wait for an additional pass. Not that I’ve heard of, as of August, 2018! If I hear of anything in the pipeline, I’ll update this article. Hello, I enjoyed reading your site about the Cricut Maker. I just received one as a gift and would like to receive a list of ALL Cricut Accessories that can be used with the Cricut Maker. I watch several videos on YouTube and one stated that I can use the Cricut Explore Deep Cut Housing And Bld on the Cricut Maker but you stated that I am limited to what is available for Cricut Maker specifically. FYI: Most of the images on your post are not viewable, a little box with an X in it is showing. I would be using it to cut very specific pattern pieces for my business so they need to be accurate… Is this other review correct or was this user error or perhaps a flaw with older software?